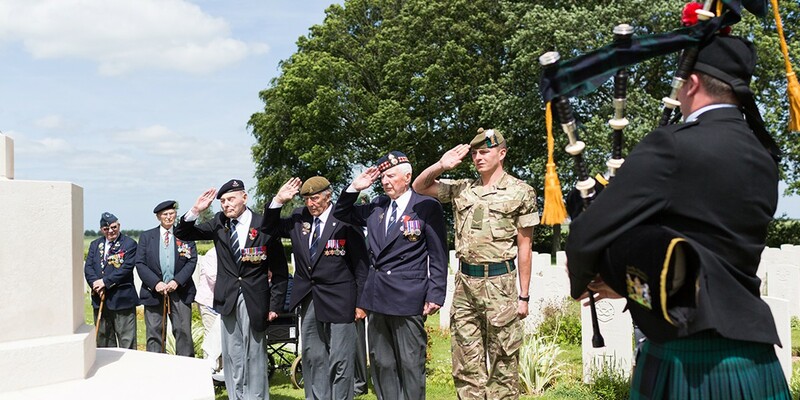 Going back to May 1940, what was left of the British Expeditionary Force was rescued from Dunkirk. Over 330,000 men were brought back to England by the Royal Navy and a hotchpotch fleet of vessels of all sizes – the famous “Little Ships”. It was on this tired and ill-equipped rump of professional Regulars that Britain built its new Army. 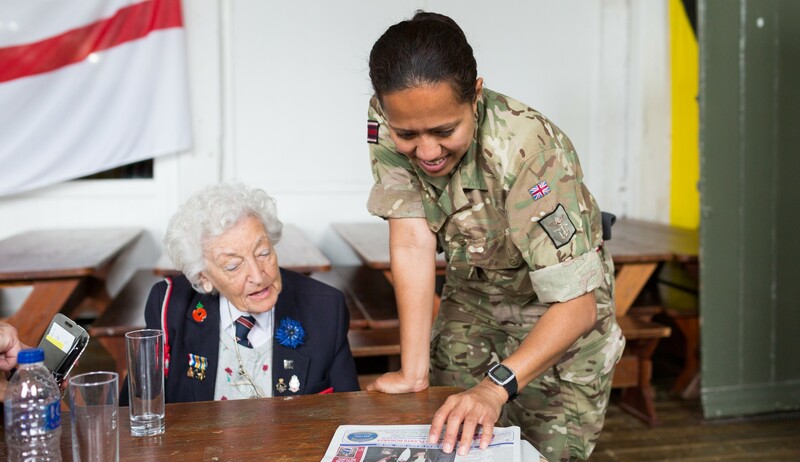 As invasion of Britain was fought off during the Battle of Britain in the summer of 1940, recruiting and training commenced with a new vigour. 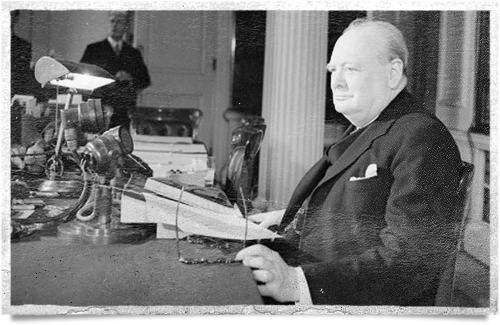 After the fall of France, Great Britain was alone in the fight against Nazi Germany. The threat of invasion was very real. Had the British Isles fallen to Hitler’s forces, there would have been a European Union much sooner, but of a different sort. "...I have, myself, full confidence that if all do their duty, if nothing is neglected, and if the best arrangements are made, as they are being made, we shall prove ourselves once again able to defend our Island home, to ride out the storm of war, and to outlive the menace of tyranny, if necessary for years, if necessary alone. At any rate, that is what we are going to try to do. That is the resolve of His Majesty's Government - every man of them. That is the will of Parliament, and the Nation. Even though large tracts of Europe and many old and famous States have fallen or may fall into the grip of the Gestapo and all the odious apparatus of Nazi rule, we shall not flag or fail. To avoid helpful directions to an invading force, all road signs were removed across Britain. The King was advised by Parliament to escape to Canada with his young family; although he refused. Britain’s gold reserves and art treasures were moved north, and secret resistance forces were established whilst the Army had a chance to recover and re-equip. After the Battle of Britain, the enemy turned to heavy bombing to subdue the civilian population and force surrender. The ‘Blitz’ came to the country’s major cities, bringing the Home Front into the front line. For nearly two years Britain stood alone, all the time recovering, growing and building. The civilian population joined in with their valiant contributions. In order to free men for military combat duty, women took on traditional men’s roles, becoming welders and technicians in munitions factories all around the Kingdom. 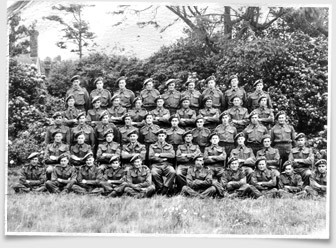 Land Army girls worked on farms helping to overcome shortage of agricultural workers, and the Merchant Navy ran the U-Boat gauntlet to bring vital provisions into the island fortress. With the sudden and treacherous attack on Pearl Harbor in December 1941, an extended European War became a World War. Troops were sent from Britain to India to resist the Japanese advance through Malaysia and Burma. The British 14th Army fought a very distant war which, to the home population, was seemingly disconnected. These men, fighting a different enemy, so far from the European theatre better understood, became the ‘Forgotten Army’ and experienced disease and unthinkable deprivation. General Wingate’s ‘Chindit’ force was another new and innovative military idea – to develop new skills in jungle warfare in order to confront the Japanese Army on its own terms. This was a new ‘Special Force’ whose ideas and skills contributed to the training of Commandos in the highlands of Scotland. 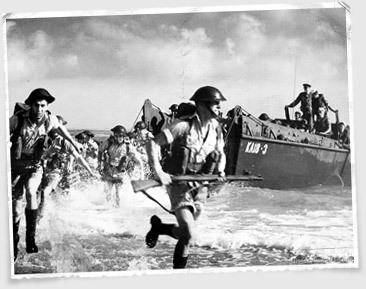 The British Army’s fight back in Europe came with the invasion of North Africa. Operation Torch, launched mainly from Liverpool, Glasgow & Gibraltar, the British 8th Army went up against Field Marshall Erwin Rommel’s highly trained, well equipped and comitted Afrika Corps. 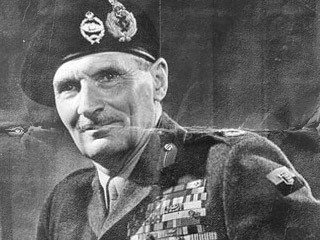 A number of British Commanders tried and failed until Lieutenant General Montgomery took over in August 1942. With dependence upon long range supplies, it is fair to claim that a combination of Home Front Industry, Military Intelligence, Royal Navy, Royal Air Force and Army drove the Afrika Corps out of North Africa. The Enemy’s supplies of fuel and munitions had to be cut, and Intelligence played a key role in guiding Monty’s tactics. A new kind of warfare was developing. The Long Range Desert Group (LRDG) and David Stirling’s Special Air Service (SAS) were innovative projects tried and tested in the desert of North Africa. 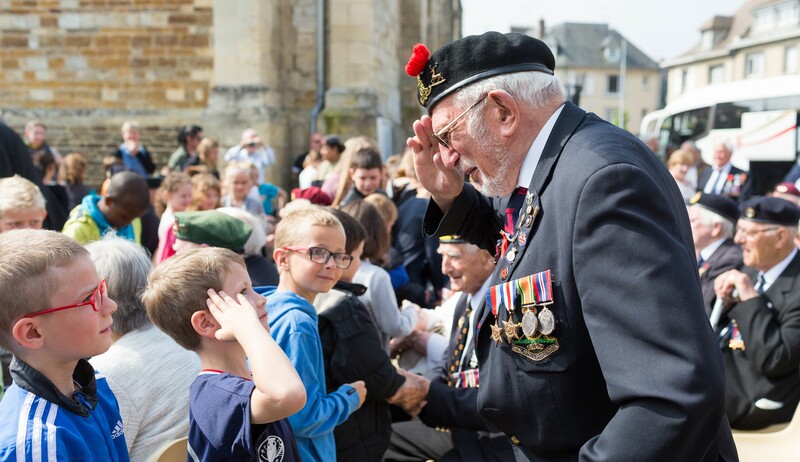 Such ideas were seen by traditionalists as unorthodox, yet they took their place in contributing to the successful outcome of the campaign and were used more and more in planning for the eventual Normandy Landings. As valuable lessons were learned, the training continued in Britain. With American troops arriving by sea into Liverpool and ports along the Clyde, the British Isles became a massive army camp as the build-up for D-Day steadily grew. With North Africa secured, a joint invasion of Sicily was carried out in July 1943. The US Army under General George Patton landed in the West at Palermo, whilst Montgomery’s 8th Army (supported by 1st Canadian Infantry Division) landed at Gela in the South. The invasion of Europe had begun. This First Front saw tough fighting as the occupying German Forces put up stiff and organised resistance. With Sicily taken, the Allies advanced across the Messina Straits. Further landings at Salerno and Anzio provided more experience of seaborne landings in force against a heavily defended coast. Back home training continued extensively, with mock landings carried out in Scotland and the West Country. Decoy bases and depots were constructed in the South East of England to indicate preparations taking place at Dover. Before detailed planning could begin, two main conditions needed to be met. Firstly, enough men would need to be trained and equipped for the task and sufficient shipping would need to be available to supply to Britain from where the invasion would be launched and sustained. The success of the forthcoming invasion of Northern Europe hinged on eliminating the German U-boat threat in the North Atlantic; achieving air superiority over enemy-controlled Europe; destroying or disrupting the German economy and war industries; degrading the German military machine on other fronts; and establishing harbours and military bases in Britain. Looking at the catastrophic low starting point of the evacuation from Dunkirk, initial planning for future invasion across the English Channel was an almost impossibly tall order, especially given the fact that the United States at that time was still a third-rate military power with a small army and obsolete equipment. "You are to prepare for the invasion of Europe. You must devise and design the appliances, the landing craft and the technique. The whole of the South Coast of England is a bastion of defence against the invasion of Hitler; you've got to turn it into the springboard for our attack." Aware that harbours were essential to the success of such an invasion, work began on two huge floating sectional harbours which could be towed to France and put into use on the northern coastline after the invasion had succeeded. Intelligence gathering made it well known that Field Marshall Rommel had been appointed to take control of defences against the anticipated allied landings. To secure ‘Fortress Europe’, the Germans had built fortifications all along the Channel coast. Known as the “Atlantic Wall”, the ‘Todt’ forced & slave labour organisation had built steel, concrete and wire obstacles along beaches, extending underwater. Artillery and machine gun emplacements were establish periodically all along the coastline. To overcome some of these beach defences, Winston Churchill brought Major General Hobart back from retirement to design a new armoured division composed of ‘funnies’, specialist vehicles which would help attackers get ashore and overcome beach defences. Allied Planners believed the enemy would be able to commit up to 18 Divisions within one week of the Landings; 6 of these would be armoured. The real difficulty would be to hold off armoured counter attacks whilst the beachhead was at its weakest; trying to land supplies and reinforcements ashore knowing that a single Division in the battle line needed at least 600 tons of supplies every day. A summer time landing presented the obvious advantage of more daylight hours in order to be able to break out before Winter set in. A new imperative was the growing fear of secret rocket weapons which were expected to be targeted on London from enemy launch bases in Northern France and the Netherlands. During the Spring of 1944 the encampments from all over Britain were moved to the south coast. From Kent across to Cornwall, from the Thames Estuary right through to Falmouth, towns and villages were taken over by the Military and residents moved away to be billeted inland and to the North. The Portsmouth/Southampton area particularly became a huge fenced-in military encampment. Once there, troops were kept out of all communication with home. 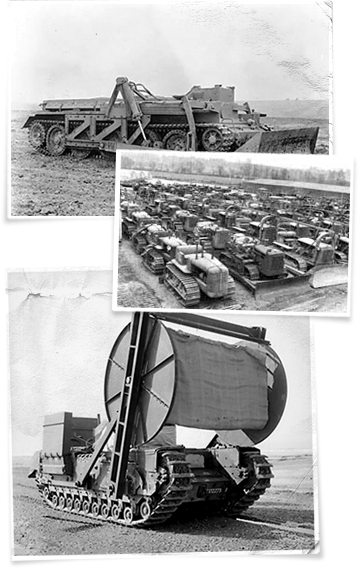 Looking at preparations for the D-Day landings in terms of equipment resources, this was inevitably an accumulation of many years output from factories across the United Kingdom, the USA and Canada. Shortage of landing craft had been overcome and all machinery, vehicles, tanks and heavy weapons were gathered into this small geographical area in readiness for the biggest seaborne invasion which had ever been contemplated. Only 3 days in each lunar month offered the desired combination of moon and tide. The first of these was 5th to 7th June. The month of May had seen fine weather throughout, continuous sunshine and calm seas. The date was set and allied troops embarked on 3rd & 4th of June, before the storm demanded a 24 hour delay.